Fluorescein angiography is an eye test that uses a special dye and camera to look at blood flow in the retina and choroid, the two layers in the back of the eye (MedlinePlus). This book is a practical guide to fluorescein angiography. 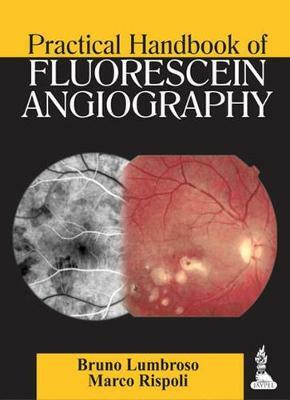 Divided into five sections, it covers interpretation, general principles for interpreting a pathological fluorescein angiography, pathological fluorescein angiography analytical study, pathological fluorescein angiography and major fluorescein angiography syndromes, including diabetic retinopathy, vascular occlusions, age related macular degeneration and inflammatory disorders. Written by internationally recognised specialists Bruno Lumbroso and Marco Rispoli from Centro Oftalmologico Mediterraneo in Rome, this handbook includes nearly 170 angiograph images and tables to help trainees recognise and interpret angiographic findings and make an accurate diagnosis of ophthalmic disorders.